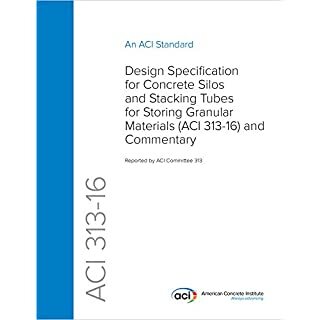 This Design Specification provides material, design, and construction requirements for concrete silos, stave silos, and stacking tubes for storing granular materials, including design and construction requirements for cast-in-place or precast and conventionally reinforced or post-tensioned silos.Silos and stacking tubes require design considerations not encountered in building structures. While this Design Specification refers to ACI 318 for several requirements, static and dynamic loading from funnel, mass, concentric, and asymmetric flow in silos; special loadings on stacking tubes; and seismic and hopper bottom design are also included. 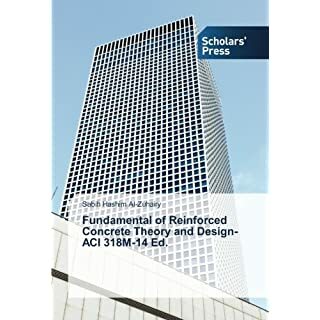 Fundamental of Reinforced Concrete Theory and Design- ACI 318M-14 Ed. 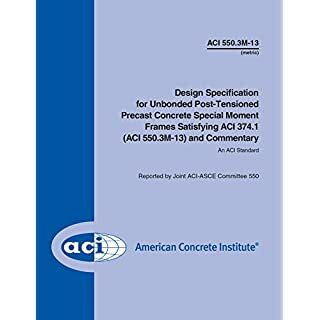 This Standard defines requirements that may be used to design special hybrid moment frames composed of discretely jointed precast concrete beams post-tensioned to concrete columns. After a major earthquake, these hybrid moment frames should exhibit minimal damage in beam-column regions and negligible permanent displacements. Hybrid moment frames do not satisfy the prescriptive requirements of Chapter 21 of ACI 318M-11 for frames of monolithic construction. 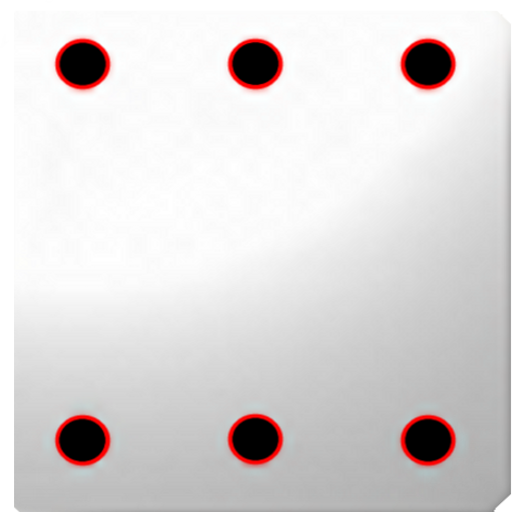 According to 21.1.1.8 of ACI 318M-11, their acceptance requires demonstration by experimental evidence and analysis that the frames have strength and toughness equal to or exceeding those provided by comparable monolithic reinforced concrete frames that satisfy the prescriptive requirements of Chapter 21. 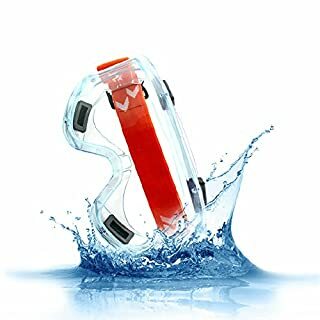 This Standard describes the requirements that the licensed design professional may use to demonstrate, through analysis, that such frames have strength and toughness at least equal to those of comparable monolithic frames. This Standard is a revision of the ACI T1.2 Standard.In this Standard, consistent with the format of ACI 318M, the word “Section” is not included before a reference to a section of ACI 318M. 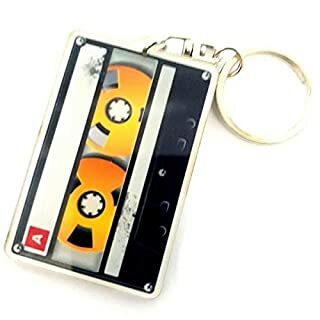 To more clearly designate a section of this Standard, however, the word “Section” is used before any reference to a section of this Standard. Consistent with the format of ASCE/SEI 7, the word “Section” is also included before a reference to a section of ASCE/SEI 7. This report examines the benefits of the design of concrete towers for land-based wind turbines with heights in excess of 325 ft (100 m), in comparison to those of round steel tubular towers. 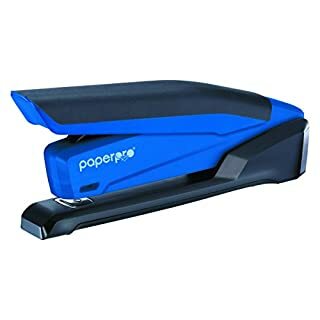 These benefits include reduced cost, increased stiffness, and superior service life performance. 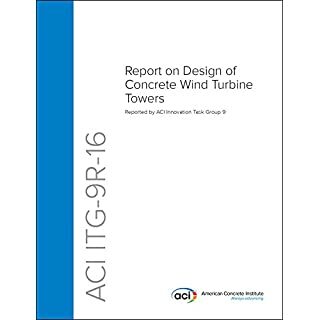 Construction alternatives, design criteria, design methodologies, and guidance for preliminary design of concrete towers are presented.The report recognizes that final tower design requires close coordination with the turbine supplier. The report is intended for those involved in developing preliminary tower designs. Concrete towers designed for maximum wind forces can be satisfactory for preliminary design, but the final design requires checking for all loads, especially fatigue and dynamic effects from wind and turbine operations. Design of connections and their proportions require an understanding of fatigue requirements during preliminary design for the connection design to remain valid during final checks. This guide presents simplified methods and design techniques that facilitate and speed the engineering of low-rise buildings within certain limitations. 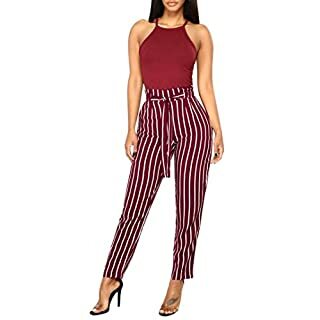 Material is presented in an order that follows typical design process with procedures introduced as the designer will need them in the course of a building design. Much of the information presented in this guide is derived from ACI 318, ASCE 7, and the 2015 International Building Code (IBC) (International Code Council 2015). The quality and testing of materials used in construction are covered by references to the appropriate ASTM standard specifications.Whereas many of the tables, charts, and values included in this guide originated from the aforementioned reference documents, they have been modified or reorganized to be more conservative, to match design process flow, or better support the holistic and simplified design approach presented.Although this guide is not written in mandatory language, the information is presented in such a manner that a structure designed following this guide will, in principle, comply with the codes and standards on which it was based. 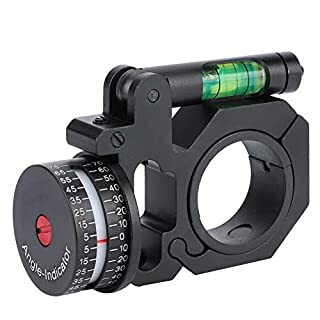 Although this guide is written in nonmandatory language, it is meant to be applied as a whole, because the simplified provisions are interdependent, and it would be unsafe to employ only a portion of this guide and disregard the remainder. 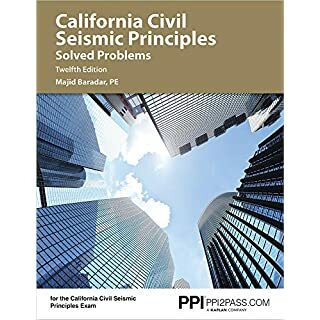 This guide is not a code and is not deemed to satisfy ACI 318, ASCE 7, and the International Building Code (International Code Council 2015). This guide is expected to be especially useful in the education and training of engineers in reinforced concrete design of low-rise structures of small to medium floor areas.There are many options within these standards that are not considered in this guide, such as the use of supplementary cementitious materials in concrete mixtures. 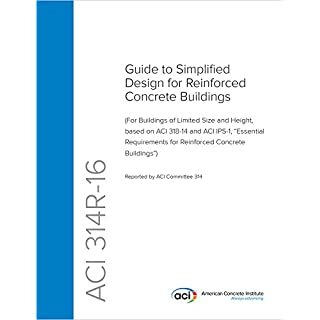 As this guide will be used as a design aid, it is the licensed design professional’s responsibility to ensure that the structure design satisfies the requirements of ACI 318, ASCE 7, the International Building Code (International Code Council 2015), and the legal requirements of the local jurisdiction. The original draft of the guide, published as ACI IPS-1 (2002), was produced by a Joint Committee of Instituto Colombiano de Normas Técnicas y Certificación (Colombian Institute for Technical Standards and Certification) (ICONTEC) and Asociación Colombiana de Ingeniería Sísmica (Colombian Association for Earthquake Engineering) (AIS).The initial drafting of ACI IPS-1 (2002) was motivated by frequent worldwide discussions that reinforced concrete codes might be unnecessarily sophisticated for some applications, such as small low-rise buildings. Current knowledge of reinforced concrete behavior obtained through experimentation and experience, and its status and dissemination as a structural material used worldwide, made developing a simplified design and construction guide feasible. 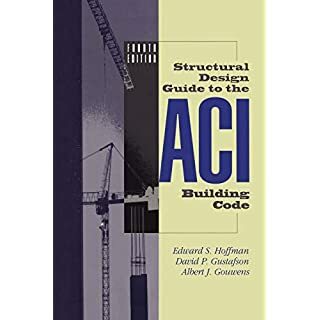 This guide used ACI IPS-1 (2002) as a basis, with information derived from ACI 318, ASCE 7, and the International Building Code (International Code Council 2015).This guide presents simplified approaches to assist engineers in designing low-rise buildings within certain limitations, in addition to the following:(a) Information on the order needed in the course of a design(b) Explanatory material at appropriate places(c) Computations only requiring a hand calculator(d) Graphs and graphical explanations(e) Design information based on simplified strength models(f) Other limit states accounted for by minimum dimensions(g) Conservative loads and simplified analysis guidelines(h) Simplified geotechnical information to help define soil-bearing capacity(i) Shear walls as the seismic-force-resisting system(j) Material and construction guidelines based on commonly available steel grades and medium-strength concrete that can be site mixed. Insulating concrete forms (ICFs) are leave-in-place forms typically produced in block or panel shapes of expanded polystyrene (EPS). 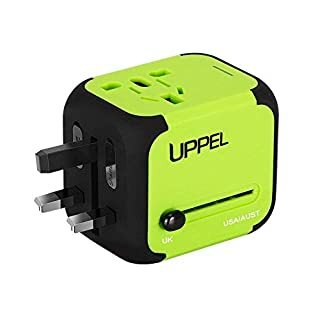 They provide additional components, such as insulation and a substrate for interior and exterior finish attachment, for a wall or floor system. The most widely used ICFs are block shapes, which are stacked in an interlocking fashion to create stable formwork for creation of reinforced concrete walls. 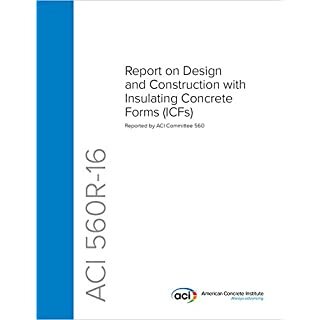 Due to the variability of these manufactured form systems, this report does not attempt to address every ICF type, but provides a commentary on those systems most prevalent in the market, and insight, as well as additional information, relative to their use in design and construction. The report focuses on ICFs for walls. This guide presents recommendations for materials, analysis, design, and construction of concrete-pedestal elevated water storage tanks, including all-concrete and composite tanks. Composite tanks consist of a steel water storage vessel supported on a cylindrical reinforced concrete pedestal.Concrete-pedestal elevated water storage tanks are structures that present special problems not encountered in typical environmental engineering concrete structures. 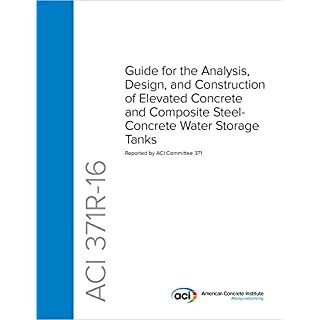 This guide refers to ACI 350 for design and construction of those components of the pedestal tank in contact with the stored water, and to ACI 318 for design and construction of components not in contact with the stored water. Determination of snow, wind, and seismic loads based on ASCE/SEI 7 is included. These loads conform to the requirements of national building codes that use ASCE/SEI 7 as the basis for environmental loads as well as those of local building codes. Special requirements, based on successful experience, for the unique aspects of loads, analysis, design, and construction of concrete-pedestal tanks are presented.